"I wanna be your Endgame. / I wanna be your first string." When Avengers: Endgame is released in April, it’s going to shake up the very foundations of the MCU as we know it, including many of the current romantic relationships. In the wake of Thanos’s universe-changing snap, many of the survivors have more important things on their mind. Steve Rogers still fondly thinks of Peggy, but he’s clearly single and not looking. Having recently been dumped by Jane Foster, Thor’s focusing on himself too (and probably on finding Thanos). Carol Danvers is single and loving it. Stephen Strange, while currently dusted, only had time for himself and BFF Wong. Steve Rogers is clearly single these days, but he still thinks fondly of Peggy Carter in 'Avengers: Endgame'. But very important questions remain about the more romantically inclined characters in the MCU. Will Tony Stark reunite with Pepper Potts to get married and have kids? And if the Thanos snap is undone, bringing Wanda and Peter Quill back to life, what about their partners who died through other means? Get ready for Avengers: Endgame right now, by brushing up on the romantic status of every major relationship in the MCU in chronological order, grappling with the uncertainty of who might be resurrected. Related article: Revisit everyone’s MCU relationship status pre-Infinity War in our 2018 article. Tony's stranded out in space, and for all we know, Pepper is dead. Tony Stark’s on-again, off-again relationship with Pepper Potts began in Iron Man (2008) and evolved over the years in unexpected ways. After a surprise engagement at the end of Spider-Man: Homecoming, the two had firm plans for a wedding by Avengers: Infinity War. Tony even dreamt that Pepper was pregnant. Actress Gwyneth Paltrow told Infinity War Magazine that “they have a child.” 🤔 So maybe that’s true these days? When I drift off, I will dream about you. … It’s always you. Keep in mind that for all we know Pepper Potts was among those dusted by Thanos’ Decimation. However, Paltrow is credited on Avengers: Endgame and plenty of leaks and rumors suggest she suits up in her own armor, so she might be anxiously awaiting Tony’s return. Even if Tony does make it back, will he survive Endgame? Considering that Robert Downey Jr.’s contract with Marvel is about to expire, chances seem high that he’ll die. But Gamora had daddy issues so serious that Thanos abducted her and then threw her off a cliff all so he could get a shiny orange stone 🔶 that helped him wipe out half the universe. 🤢 Peter was among those dusted in Thanos’ Decimation. Whatever the surviving Avengers do in Endgame, it’ll probably revive everyone that was erased, but will it revive those like Heimdall, Loki, and Gamora who died from other means? Probably not. Before Pizzagaters destroyed James Gunn’s career and got him fired from Marvel Studios, he had plans for Guardians 3. That movie remains in limbo. It could still happen, but will these two even be around for it? Betty who? Bruce Banner has had the hots for Black Widow since Age of Ultron, but then Hulk 😡 took their shared body into outer space to spend two years on Sakaar as a gladiatorial champion. That’s a pretty savage way to ghost somebody. That sort of behavior can really hurt a relationship, especially when Bruce only goes back to Earth after a dying Asgardian blasts him there with dark magic. Bruce and Nat’s inevitable reunion in Avengers: Infinity War was strained and, as Falcon put it, “awkward.” 😐 But they were able to maintain a professional working relationship for the sake of saving the world — or trying to, anyway. Scarlett Johansson has hinted previously that filming Infinity War and Endgame with Mark Ruffalo left her “devastated.” Could more drama unfold in Endgame? Will one or both of them die? These two characters might not ever get the closure they deserve, even if there’s still a spark between them, but especially while the Hulk refuses to show up to the fight, Nat and Bruce have a better chance of patching things up than most couples on this list. No happily married man would ever look this murderous and angry. Clint Barton, aka Hawkeye, revealed he was happily married with kids 👨‍👩‍👧‍👧 in Age of Ultron and promptly retired. He only came out of retirement to fight for Team Cap 🇺🇸 in Captain America: Civil War. As a result, he was totally MIA for Avengers: Infinity War because, just like Scott Lang during Ant-Man and the Wasp, Clint was under house arrest. Based on the Endgame trailers, that’s all changed. He’s wearing his new Ronin costume and murdering people, probably because his entire family is dead ☠️, having turned to dust in his hands during the Decimation. Sad! Yeah. Clint’s family is so dead. You could cut the sexual tension with a knife! No pairing in the MCU has better chemistry than Scott Lang and Hope Van Dyne, thanks in large part to actors Paul Rudd and Evangeline Lilly. I will fight you on that. Scott messed up big time by fighting alongside the rest of Team Cap in Civil War. It led to his house arrest for two years and estrangement from Hope and Hank Pym. They tracked him down again in Ant-Man and the Wasp 🐜🐝 so he could help them rescue Janet Van Dyne from inside the Quantum Realm. We were working together, training together, and other-stuff-ing together. Scott and Hope seemingly rekindled their relationship through that and became the first present-day superhero power-couple. 👩‍❤️‍👨 Nice! What’s not so nice is Thanos wiping out half the universe shortly after that. The Decimation happened during the middle of Scott’s trip to the Quantum Realm in the Ant-Man and the Wasp post-credits scene. He was left stranded in the Quantum Realm while Hope, Hank, and Janet all turned to dust. Scott’s been prominently featured in both Endgame trailers. So he definitely frees himself somehow. He’ll play a big part in helping the remaining survivors try to undo the Decimation. Evangeline Lilly is included in the Endgame credits, so it sounds like this OTP will reunite once again. Imagine being whisked away by your shapeshifting robot boyfriend to an Airbnb with no wifi in Scotland for the weekend, and you’ll get a sense of how rock-solid Wanda💃 and Vision🤖 were as a couple at the start of Infinity War. They knew how to put away their phones to spend quality time together — a real rarity in the modern digital age. Vision was totally awkward in Civil War with all his mansplaining about waiting for Mr. Stark, but somehow the two years since then have done wonders for his relationship with Wanda. They spend all of Infinity War staring at one another longingly and protecting one another from ugly aliens. The only thing more romantic would be if their Scottish tryst wasn’t cut short. I don’t… I don’t know. Something… Tell me what you feel. Sadly, theirs is the most tragic love story of all. Not only did Wanda have to kill Vision by destroying the Mind Stone, but Thanos used the Time Stone to undo that. Then he ripped the stone out of Vision’s head anyway, killing him all over again. Wanda watched him die and then was herself dusted during the Decimation. 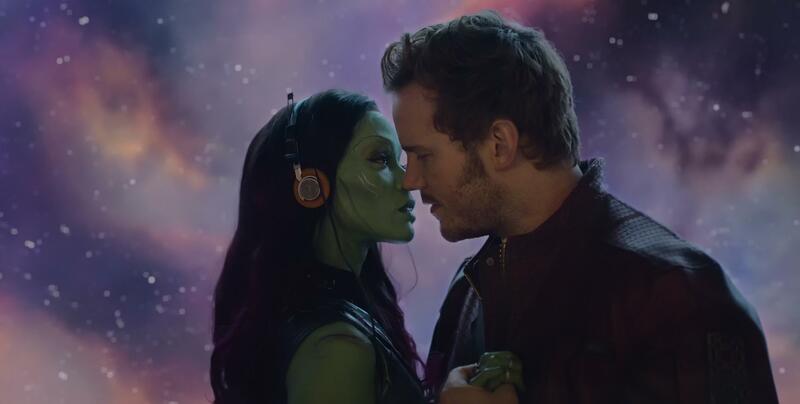 Much like Star-Lord and Gamora, these two lovebirds will have a hard time keeping this relationship going when they’re both dead. Curiously, actor Paul Bettany isn’t listed in the official Endgame credits, suggesting that Vision is totally dead and never coming back. Then again, this could be yet another misdirect from Marvel. Rumors indicate that there might be a Scarlet Witch show in development for Disney+. Maybe the only reason it hasn’t been confirmed is that Marvel doesn’t want to spoil that she’ll be revived? We’d love for that show to just be them touring Scotland, solving smalltown crimes with magic and advanced technology. T'Challa and Nakia finally kiss in 'Black Panther'. If you weren’t so stubborn, you would be a good queen. But with T’Challa dusted, who knows what that means for their relationship in Endgame and beyond? For all we know, Nakia suffered the same fate. Marvel producer Nate Moore implied to Cinema Blend that Nakia might appear in Avengers: Endgame as Wakanda struggles to recuperate after the Decimation, but there’s really no telling. Even after Endgame restores the universe in some fashion, the world might look very different. We do know that Black Panther 2 is happening, so we can only assume that they’ll both be alive and flirting once again at some point in the future. Peter's really GOING for it with the "You look pretty" lines. The big twist at the end of Spider-Man: Homecoming was that Zendaya’s nerdy character was actually a surprise reimagining of MJ all along! Peter spent most of that movie pining after Liz, but after she was forced to move away when Peter put her dad in jail 🕷, things got icy between them. Like teenage boys do, Peter instantly pivoted his attention to MJ. Unfortunately, Peter gets dusted in Infinity War. We don’t actually know if MJ survived the Decimation, but it won’t really matter. Zendaya won’t appear in Avengers: Endgame, so even if she suffered the same fate as Peter, we know she’ll be back for Spider-Man: Far From Home — which takes place after Endgame. So when Peter and MJ flirt in the Far From Home trailer, it’s kind of a huge Endgame spoiler, right? Their dynamic is pretty great, especially how MJ keeps Peter on his toes with screwball responses to compliments. When you think about it, Peter and MJ are really the only couple that’s safe in a post-Endgame MCU. Marvel and Sony are setting them up as total endgame, so they’re bound to couple up before Far From Home is through. Here’s a video Inverse made last year detailing every major relationship before Avengers: Infinity War. Here's the status of everyone pre-Infinity War.